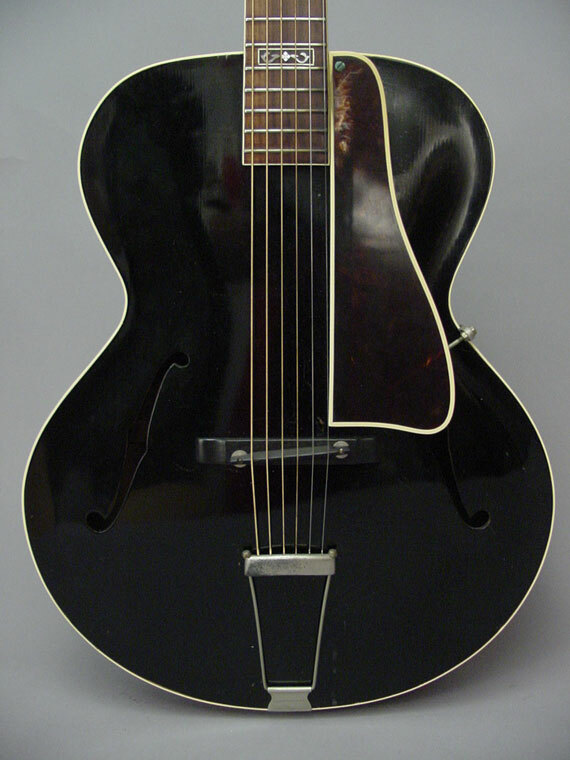 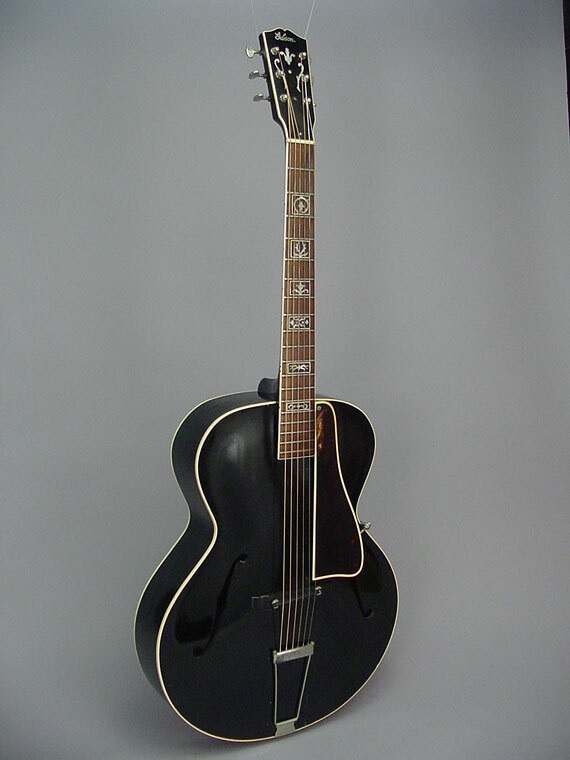 This is my favorite iteration of Gibson's mid-priced archtop guitar. 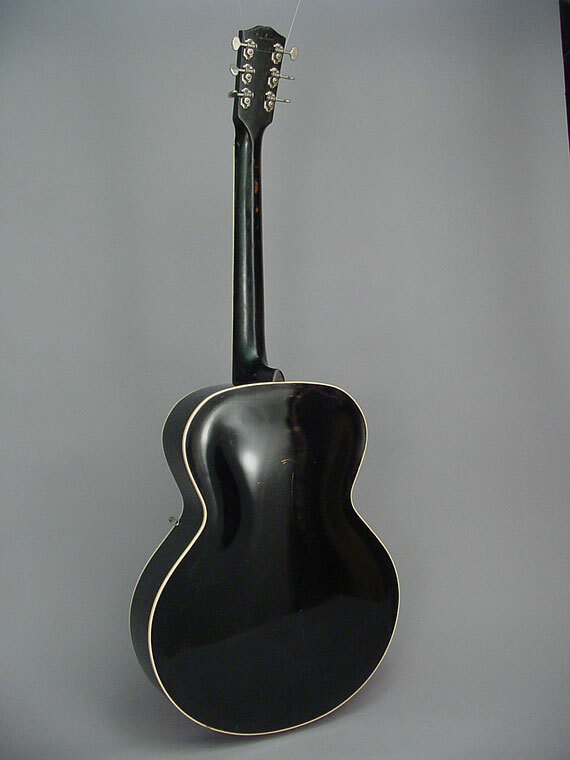 Introduced in 1929, the L-10 featured a black finish and simple appointments, but was otherwise the same basic instrument as the famous L-5. 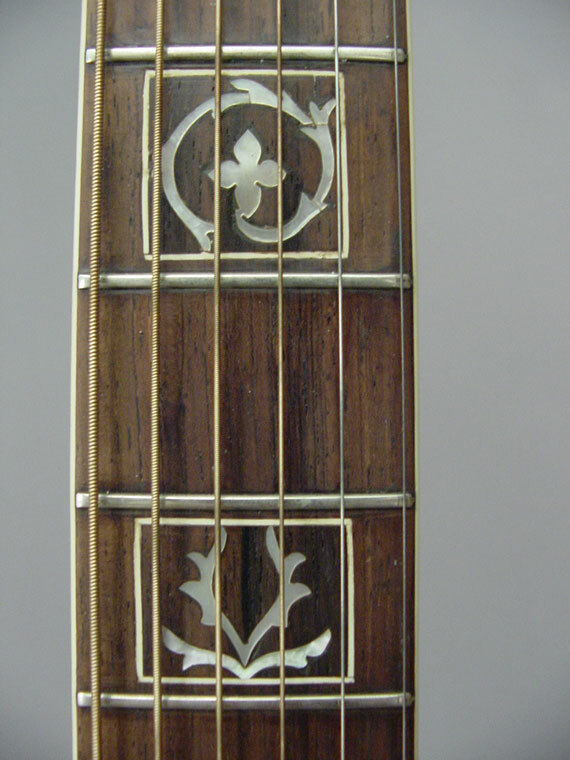 In 1933, the L-10 got an appearance upgrade, consisting of fancy fingerboard inlay which was made from unused banjo fingerboards. 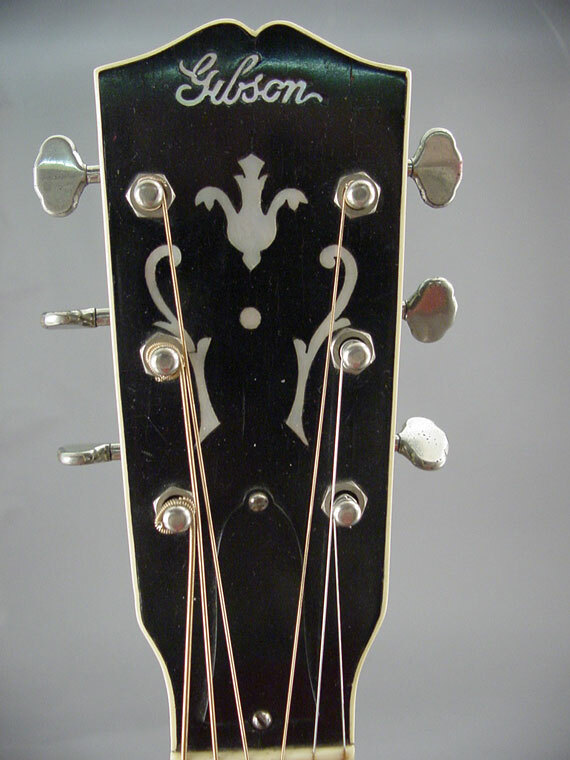 To save effort, Gibson simply cut the fancy fingerboards into rectangular shapes, and inlaid them with a decorative border. 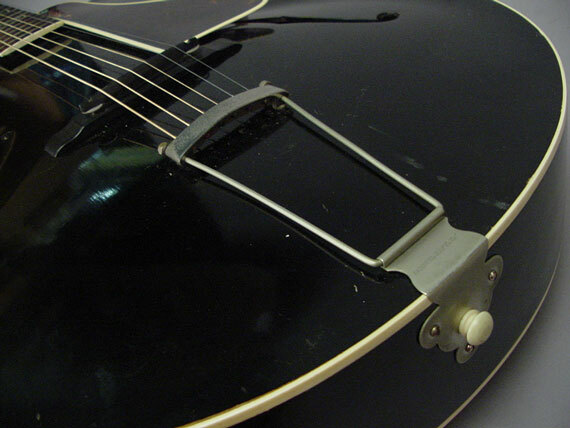 Pretty cool recycling. 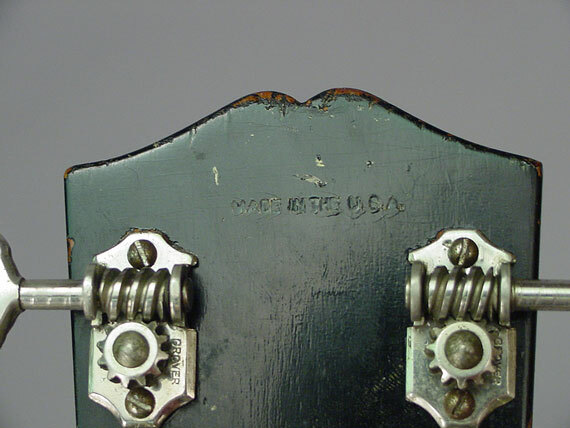 "Made in the USA" was roughly stamped on the back of the peghead because this instrument was originally sold in Europe. 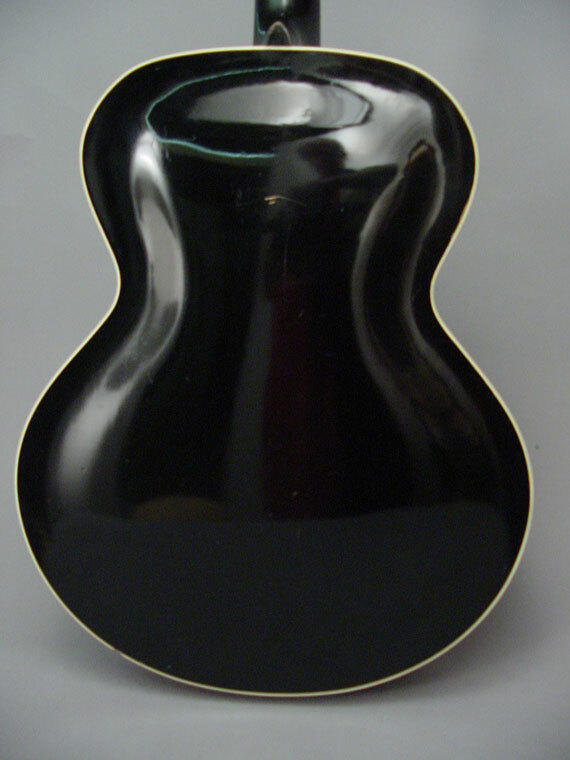 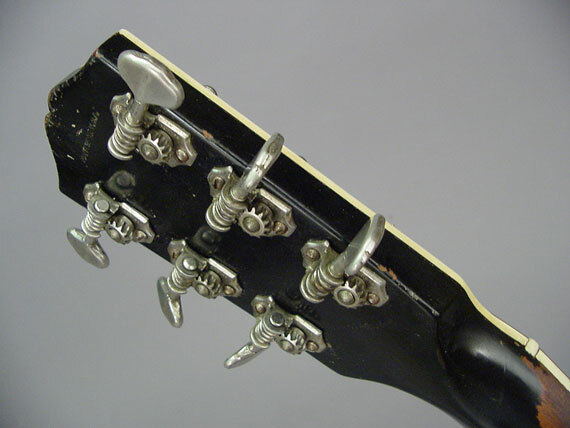 Also, notice the progressive deterioration of the celluloid pickguard and the "pot metal" tailpiece.